The Mesquite Arts Council presents an exhibit by the White Rock Weaving Center. 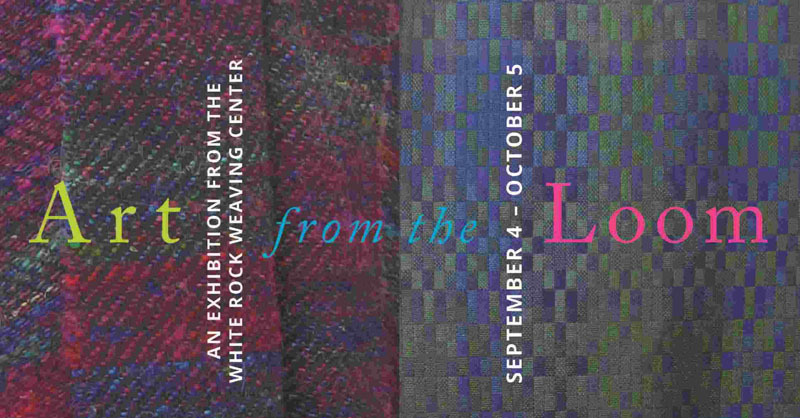 “Art From the Loom” is an exhibition featuring the artwork of twenty weavers using textile techniques as well as some innovative contemporary materials such as bamboo. Stopping in at the White Rock Weaving Center is like stepping into a long-gone era filled with craftspeople. There are weavers in every corner of the shop all in various stages of woven projects ranging from table runners inspired by vegetable gardens to throw rugs, shawls and other utilitarian articles. Displays of handspun and hand woven items will feature more than 75 pieces from artists whose skills range from beginning to advanced levels. The pieces vary from finely woven baskets, magnificent cloaks and sweaters to intricately woven foot stools. The exhibit highlights how the art form has developed, reasserted, and reinvented itself in recent years with an interactive area during the reception which allows visitors to observe the artists weaving. On view till October 5, 2012 at the Mesquite Arts Center (Monday through Friday, 8 am – 5pm and during performances), call the Arts Council for more information at 972-216-6444.